The World Bird Festival is an activity led by Birdlife International and celebrated by each of its partners around the world in the month of October. 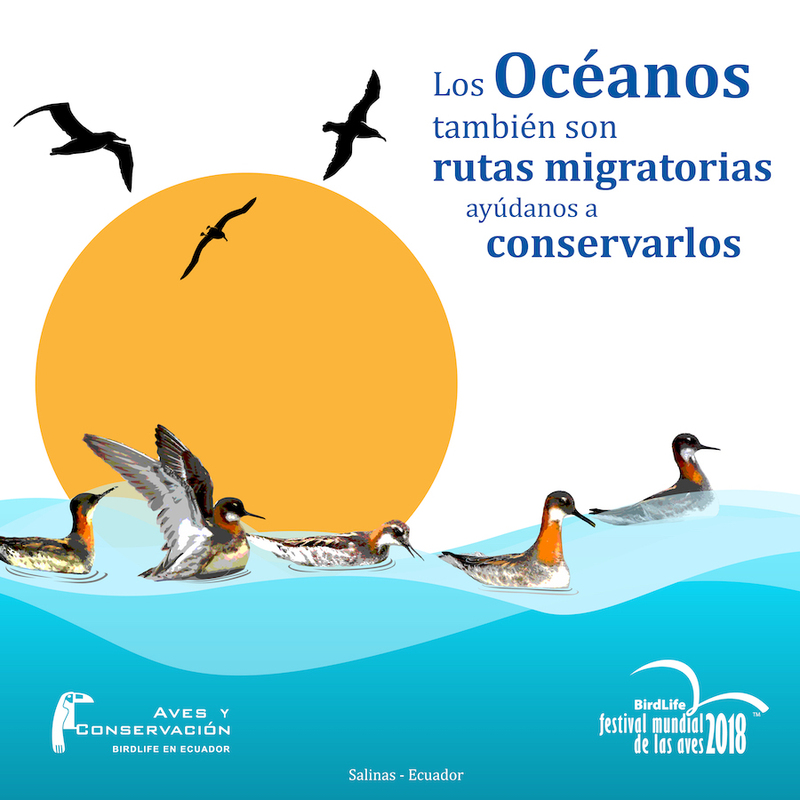 On this occasion the bird festival will be held for the fourth time in 10 years with the theme: "The oceans are also migratory routes, help us to conserve them!" - Scientific talks with national and international speakers. - Playful and kite workshop for children. - Guided tours of the pools. - Theoretical-practical workshops (previous registration): Bird observation and identification or Nature photography. On Sunday September 30, we will make a field trip to the waterfalls trail for bird watching and photography in the Dos Mangas commune. Come to know and enjoy the First Shorebird Refuge in Ecuador!